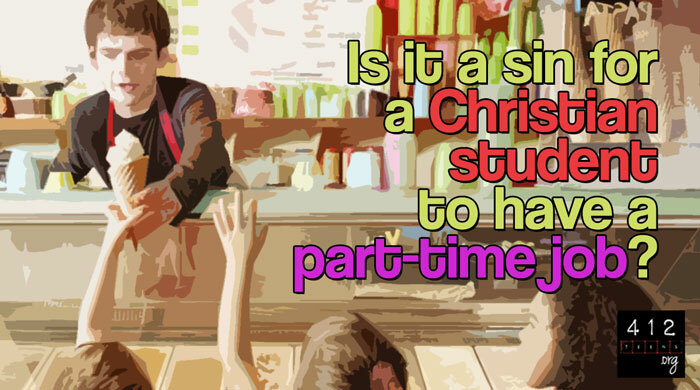 Is it a sin for a Christian student to have a part time job? What does the Bible say about work? There is nothing the Bible to suggest that it would be a sin to work a part time job while you are going to school. So yay for that! ☺ If you are trying to get a job to save up for something like college or a car, that's awesome! Good for you. God created humans to work alongside Him in the world from the beginning. In fact, the Garden of Eden was the first place where man was called to work (Genesis 2:8, 15). Your "job" at this point in your life is to be a student and to be the best student you can be. But if you also have a job with an employer, that's perfectly all right. Your efforts at your job should benefit both you and the people around you (Exodus 23:10-11; Deuteronomy 15:7-11; Ephesians 4:28). God has given you the opportunity to have a job; it's a gift of blessing from your Creator to you (Psalm 104:1-35; 127:1-5; Ecclesiastes 3:12-13, 5:18-20; Proverbs 14:23). God will give you the tools, experience, or skills you need to do your work (Exodus 31:2-11)—even if it seems like a long process to get there. Be careful not to put all your sense of significance in your work though, whether it is getting praised by your teachers or your employer. In Ecclesiastes 2:4-11, King Solomon talks about trying to find the meaning of life through projects and work. Even though he was able to feel somewhat satisfied by a job well done, his final conclusion was this: "Yet when I surveyed all that my hands had done and what I had toiled to achieve, everything was meaningless, a chasing after the wind; nothing was gained under the sun." Our true value can only be found in our identity in Christ. It is only because of God that we can accomplish anything in our lives at all (Philippians 4:13). Keep that perspective! Yes, work is good. Doing excellent work is best. But it's not everything there is to life and is not the end-all-be-all definition of who we are. Is there any reason NOT to work while I'm going to school? If your parents have said that they do not want you to work while you go to school. Colossians 3:20 says to "obey your parents in everything, for this pleases the Lord." So they really have the final say. If having a job negatively interferes with schoolwork. As a student, doing well in school is your most important "job," and as Christians, we should be committed to doing our job well. Colossians 3:23-24 says, "Whatever you do, work heartily, as for the Lord and not for men, knowing that from the Lord you will receive the inheritance as your reward. You are serving the Lord Christ." If it is against governmental law for a person of your age to work. That is not usually a problem in the United States, but it may be in some other parts of the world or certain cities with certain ordinances. Romans 13:1 says, "Let every person be subject to the governing authorities. 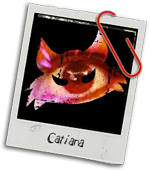 For there is no authority except from God, and those that exist have been instituted by God." If none of these things are standing in the way of getting a job, then you are free to do so! If it is His will, may God lead your way to the right job for you. Keep the perspective of Jesus as you work your jobs as student and employee: "My food, said Jesus, is to do the will of him who sent me and to finish his work" (John 4:34). The Bible doesn't prohibit a student from working a part-time job. Doing well at any job is an important aspect of living out your faith as a Christian. (See biblical principles above.) The only reasons you may not want to work is if your parents have said no, the job interferes with schoolwork, or if it is against the law for you to work. If none of these things are standing in the way of getting a job, then you are free to do so! Keep Jesus' perspective as you work your jobs as student and employee: "My food, said Jesus, is to do the will of him who sent me and to finish his work" (John 4:34).